Many homeowners don’t even think about their sewers until they have a problem with them. If that’s you and you think you might be having a sewer issue, call us at Larry & Sons. We will come out as soon as we can, assess your sewer, and put a plan in motion to get everything working again soon. We can answer any questions you may have about your sewer, too, so don’t hesitate to call. Most sewer repairs start by assessing the damage. We’ll look at any external evidence you might have that there’s a sewer problem. This includes things like sewage backflow that has entered your home or wet, lush areas of your lawn. Then we’ll take a look inside the sewer itself. Every sewer repair in Greencastle, PA includes a sewer scope. When we do this, we’ll send a camera on a flexible cord down into your sewer, via your access portal in your home. This shows us exactly what is going on in your sewer and how things are flowing. It allows us to see any clogs, cracks, or leaks in your sewer line. It also lets us locate them exactly so we can figure out where we need to work. Once we know what the problem is, we’ll be able to devise a good solution for solving it. 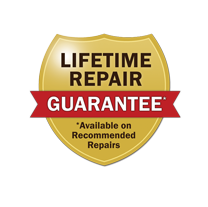 Whenever possible, we’ll utilize trenchless sewer repair technology for you. This means that we will repair your sewer from that same indoor access portal, rather than having to dig up your yard. This isn’t always the best answer to your problem, but we’ll let you know when it is. When you agree to the plan, we’ll get everything in place as quickly as possible so that you can get your sewer flowing well again soon. We’ll help make sure you have the sewer functionality that you need in order to live well in your home. When Do I Need Sewer Repair? If you haven’t experienced them before, it can be hard to recognize early signs that you need sewer repair. You may mark them as odd occurrences or not notice them at all. However, all of these mean that it’s time to call in a professional to fix your sewer. You notice sewer smells. Your sewer should be a closed system that keeps both smells and waste away from your home. If you smell sewage, the actual sewage itself may not be far behind. Call us to take care of the problem before it damages your home. Your yard is extra lush. Sewage makes great fertilizer. If areas of your yard are growing too fast without an explanation, check for a sewer leak. Your drains all stop up at once. This can indicate a clog in your sewer that needs to be addressed fast. At Larry & Sons, our plumbers are sewer experts. 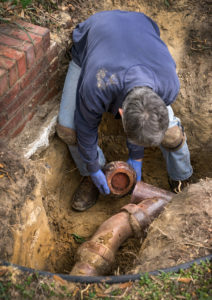 Call us as soon as you notice a problem for prompt service and an efficient sewer repair in Greencastle, PA that will fix your sewer problems for good.